The world is filled with two types of people. There are those who love the idea of relaxing in a hot bath or shower. Then there are those who like to procrastinate until the last minute of the day…or day of the week. It’s all-to-often that we take taking a shower for granted. Showers might seem modern with their massaging sprays and swiveling heads, but, in truth, they have been around for quite some time. Technically speaking, waterfalls might be considered the very first showers. They may not have all of the features we are used to having today, but they performed basically the same job with a similar level of efficiency. The water wasn’t always warm and occasionally you might drown beneath it, but all that aside, it was often preferred over taking a bath in a bucket or basin. It didn’t take long for people to realize that water raining down overhead was a little more hygienic than sitting in a pool of your own bath water. Unfortunately, the early ancient civilizations didn’t quite have the technology needed to reproduce this natural occurrence. Instead, they just had someone dump buckets of water on their head while they scrubbed themselves clean. These early, indoor showers were more often reserved for the wealthy who could afford a servant to dump the water. Not too many people were willing to help their friend take a shower, even if they were the best of friends. Wealthy Egyptians, on the other hand, could spare a servant or two to keep a constant flow of water pouring over them while they cleaned. There were very few similarities between these early showers and the showers of today. Some of them did have a form of drainage used to remove the falling water, but it was very rudimentary. Water also wasn’t pumped into the room via pipes. It was carried in a bucket at a time by the servants. It wasn’t until the Greeks arrived with their technological prowess that sewage, running water, and more modern showers could become more commonplace. They are regarded as the first people to truly utilize efficient indoor showers. Water pressure was combined with lead pipes to carry large supplies of water to shower rooms designed for all people to use. No longer was showering reserved for only the wealthiest. Pergamum was one of the first of the ancient Greek cities to implement public shower rooms. As per usual, the ancient Romans followed and utilized the same technology as the Greek. However, the Romans took things a step further. The Greeks saw taking a shower as something fun or social to do, but the Romans saw the true hygienic value in the process. They believed that people should take multiple showers every week. 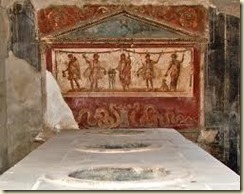 Many Romans even took showers on a daily basis. The mechanical shower didn’t arrive for quite some time after this. It was in the 18th century that the first mechanical shower made its appearance. It was operated entirely by a hand pump, which seemed like a step backward from the Greek model, but it still got the job done. This original mechanical shower had many flaws and because of this, it was never very popular with the wealthy. For starters, it had to use the same water over-and-over again during a single shower. The user would pump the water into an overhead container, pull the chain, the water would fall down, and then they would pump the same water back into the container. This wasn’t any more hygienic than taking a bath. The design was improved in the early 19th century. It had some of the same flaws, such as recycling the same dirty water, but it also had many improvements. It would continue to be improved upon throughout the following century. It wasn’t long after this that nozzles capable of dispensing water in different patterns were introduced. In the 1850’s plumbing came back into style. This meant that new, clean water could be continually pumped into the shower head. This changed the game forever. Bathhouses featuring mechanical showers soon became commonplace. 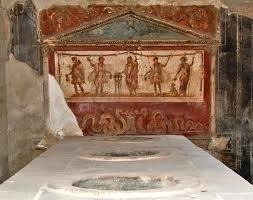 Shortly after, the world would return full-circle to the ideals of the Romans: “Take a shower every day or stay away”. When people think of Pompeii, it’s often to conjure up images of violent destruction, or to ponder the fragility of life as so visibly showcased by the remains of Pompeiians who were caught by the wrath of Mount Vesuvius in 79 A.D. But there was much more to this town than just its end, and for the past ten years, archaeologists from the University of Cincinnati have excavated a row of building plots located in the non-elite district of the city. 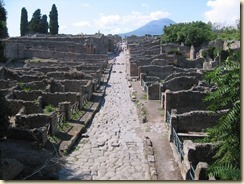 Some of these building plots—which represent a total of 20 store fronts near the Portia Stabia—date as far back as the 6th-century B.C. The archaeologists learned that these store fronts were mostly restaurants, and researchers were able to take the finds of preserved, mineralized and charred food contents (found in drains and toilets… don’t think about that too hard) in order to analyze it. While archaeologists did find food remnants that would have been standard, inexpensive fare in ancient Italy (ie. 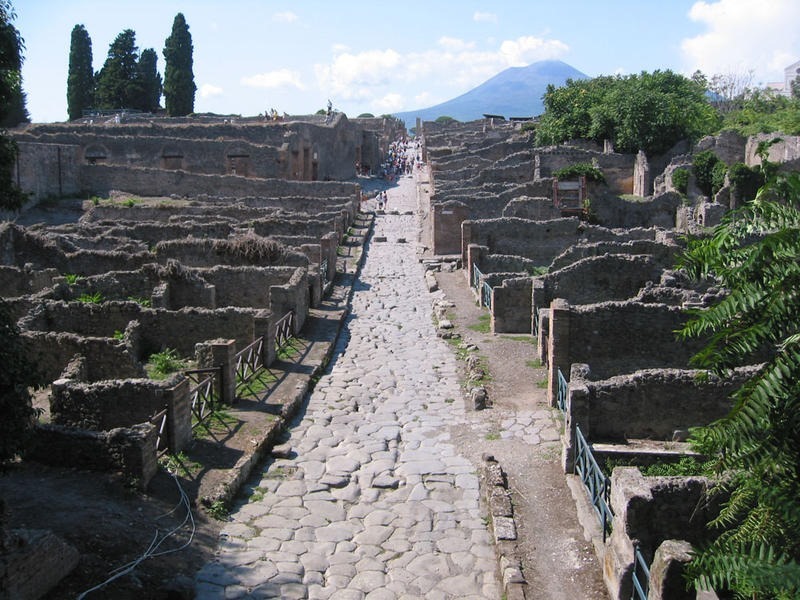 grains, fruit, olives, fish, lentils, eggs, and nuts), they also discovered that ancient Pompeiians enjoyed a wide variety of exotic dishes featuring imported fare from outside of Italy. It’s a foodie’s dream: sea urchins, shellfish, flamingos, and the team even uncovered a giraffe’s butchered leg joint (which is the first giraffe bone found in ancient Roman Italy). The archaeological team also found traces imported, exotic spices from far away regions such as Indonesia. 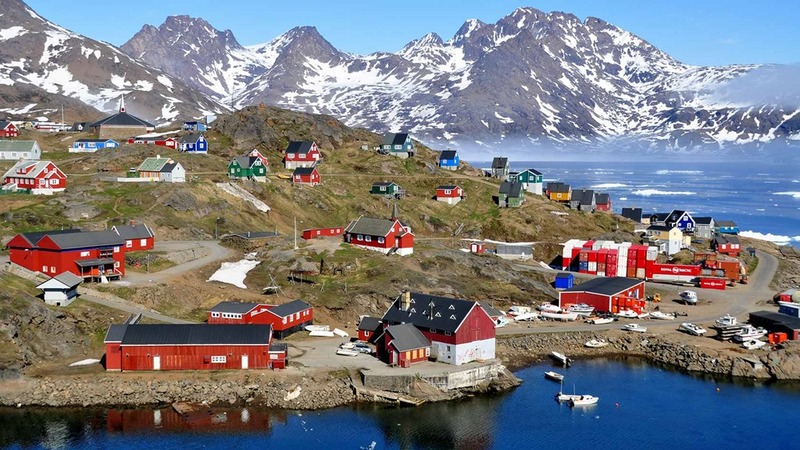 In December 2010, our Scribe revealed some history about the island of Greenland. How did it get its name? And why call Greenland “green,” when it’s clearly full of ice? Naturally, the story involves Vikings—and a possible misunderstanding between languages! Follow this link to read How Greenland Got Its Name. Fun Bonus Fact: Scientists have estimated that the ice sheet that covers Greenland is between 400,000-800,000 years old! It covers approximately 80% of the island, and is about 3 kilometers thick in places… so the ancient settlers to the island probably didn’t see much difference in appearance or terrain from what we see today. In March 2007, we very briefly introduced readers to the basics of the Mayan military, or at least what was known at the time. New archaeological discoveries are always being made and challenging previous assumptions—for example, just last year, archaeologists discovered the tomb of a Mayan warrior queen: Lady K’abel, a 7th-century Maya Holy Snake Lord. Today, here’s the link to revisit The Mayan Military (ca. 300-900 AD)! Fun Bonus Fact: Sometimes, the Mayans timed certain military campaigns to coincide with celestial events!